This episode: three farmers, all from Quebec, share some advice they've learned from experience. Topics covered: stale seed bedding for less weeds and healthier soil, the importance of good branding, and debriefing with your farm help to improve your management practices. Part 2 of my long-form interview with gardening writer Steve Solomon. You'll come away with a gracious plenty amount of valuable knowledge. 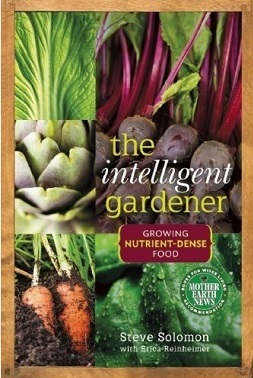 This episode: Gardening savant and writer Steve Solomon on his new book, The Intelligent Gardener, and on growing nutrient-dense food.